Publication administrator is M. Michel Grange. All intellectual property rights, in particular copyrights, pertaining to the general structure of the E.S.F. site of Morzine and to the texts, images (still or moving), photos, audio and any other constituent elements of the E.S.F. site of Morzine remain the exclusive property of the Local Assocation of French Ski Instructors of Morzine apart from elements protected by the intellectual property rights of and belonging to third parties. Any use, commercial or otherwise, in particular any downloading, copy, reproduction, modification, distribution, transmission, broadcasting, adaptation, translation or representation, in whole or in part, of the website by any current or future means on any current or future medium without the prior written consent of the Local Association of French Ski Instructors of Morzine is prohibited and may give rise to prosecution, particularly under the counterfeiting laws, as sanctioned by articles L.335-2 ff. of the French intellectual property code, subject to application of article L.122-5 of said code. Any authorised use of the constituent elements or elements featuring on the website and belonging to the Local Association of French Ski Instructors of Morzine must take place without any adulteration, modification or alteration whatsoever. The name E.S.F. is a trademark of the National Association of French Ski Instructors with the number 1 725 190 in its latest version. Any use of a similar or identical sign to designate identical or similar products and/or services is prohibited without the express prior authorisation of the National Association of French Ski Instructors. When you visit the ESF Morzine website, the Local Association of French Ski Instructors of Morzine may ask you for certain information about yourself in order to be capable of identifying you or offering you personalised services and catering to your requirements. This means that your first and last names, postal address and email address may be requested from you in response to your contact request via the ESF Morzine website. 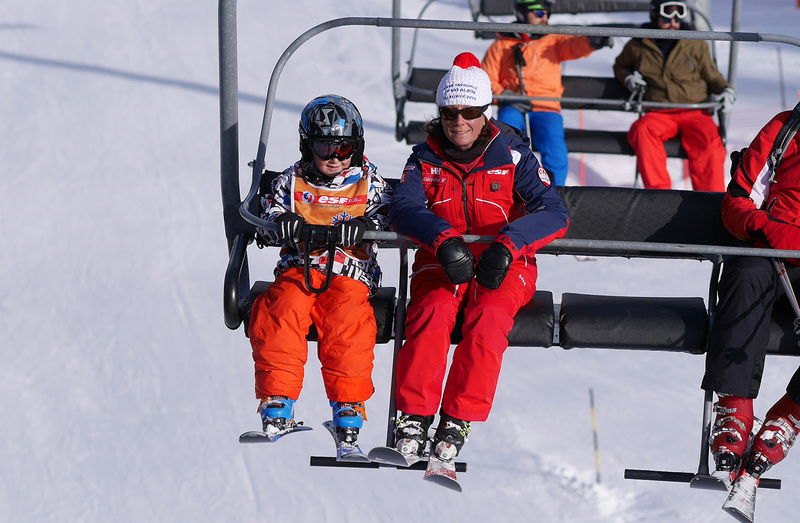 The Local Association of French Ski Instructors of Morzine may send you a newsletter with the latest news about the ESF of Morzine You may at any time request no longer to receive this type of information by clicking on the unsubscribe link displayed in each newsletter that you receive. With regard to the hypertext links on the site directing users to other websites, the Local Association of French Ski Instructors of Morzine shall not be held liable for the content of these sites. Once a user has been redirected to a website published by a third party, the latter's general terms and conditions become applicable to the exclusion of the general terms and conditions of the Morzine E.S.F. website. Establishing a link to our site requires no authorisation. The Local Association of French Ski Instructors of Morzine declines all liability in this case.